Personal vehicles are the biggest source of ozone-forming emissions in Central Texas, so driving less is an important way to take care of our air. With fewer cars on the road there will be reduced vehicle emissions and less traffic. Below are some tips on how to drive less while still getting where you need to go, no matter what your lifestyle is. Enter your commute and vehicle cost information into the calculator to get your monthly cost for commuting. It might be more than you think! Transit provides a low-cost, efficient way to get you where you need to go, while reducing the number of the cars on the road and helping improve air quality. While taking the bus or train, you can also make better use of your time on the road by reading or doing work rather than worrying about driving. Depending on where you live in the region, the Capital Metropolitan Transit Authority (CapMetro) and the Capital Area Rural Transportation System (CARTS) can help get you around the region. Biking and walking are zero-emission sources of transportation that help keep you healthy. 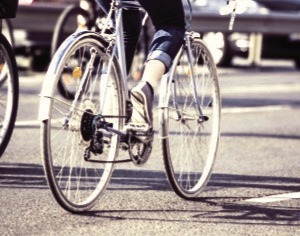 Consider riding your bike or walking when taking trips, especially if they are nearby. A telecommuting program within your organization can reduce the number of commutes to and from the office by staff. This may also help increase work productivity while reducing vehicles on roadways. Plan out your trips so that you stop at the grocery store on the way home from work, rather than having to take a separate trip and using up extra gas. Non-commuting mileage makes up a much bigger share of your driving than you may realize! In order to improve mobility and keep Austin a great place to live and work, the Austin Chamber of Commerce, Austin + SocialGood, Capital Metro, the City of Austin, and Texas Department of Transportation are teaming up with mobility experts at The Thrival Company, RideScout, and Movability Austin to provide employers with the tools, training, and consulting support to build and grow mobility programs that will get more of their employees out of traffic and enjoying mobility options. For more information visit http://www.mobilitysolution.org/.